Ask your friends and family where they would go if they need prompt medical treatment and odds are they’ll point to the emergency room. 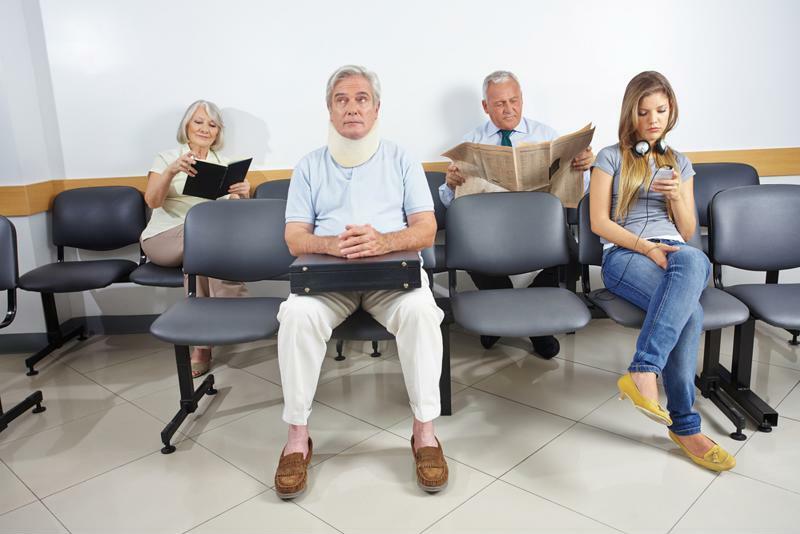 Urgent care centers are more than capable of handling minor injuries and illnesses in a timely – not to mention affordable – fashion, but that hasn’t stopped everybody and their mother from heading to the ER at the first sign of trouble. This led the Institute of Medicine to declare in 2006 that ERs had reached a crisis point – the aging population has increased the number of patients and physician shortages have reduced that of clinicians. In fact, you probably tolerate long wait times in ERs because you think you’ll get taken care of eventually. However, a 2012 study conducted by researchers at the Oregon Health & Science University and published in the journal Annals of Emergency Medicine found that sitting and waiting in ERs for extended periods of time can actually make you sicker than before. An ER waiting room this empty is a patient’s dream. While staffed with talented physicians and nurses, many ERs simply don’t have the resources they need to care for all their patients at once. As a matter of necessity, ERs triage patients according to the severity of their injuries. This is why you get stuck waiting for hours with a broken toe while others stream into examination rooms. However, Benjamin Sun, M.D., associate professor of emergency medicine at OHSU, examined the differences in care outcomes between patients who were seen quickly and those who were forced to wait. Sun looked at a total of 995,379 discrete visits to 187 hospitals across the country and cross-referenced the data with treatment outcomes and relative patient load at the time of admission to the ER. Sun didn’t find anything unusual about ERs when wait times were short, but patients who were forced to wait before being admitted to the ER because of overcrowding were 5 percent more likely to die in that hospital as a result of their treatments. Even if the patients survived, their stays were extended by about 0.8 percent. To add financial insult to literal injury, these patients’ bills were also 1 percent higher than their triaged counterparts. If you still believe that ERs can turn this recent trend of long and harmful wait times around, you’ll be disappointed to know that the prognosis is negative. Since the passage of the 2010 Patient Protection and Affordable Care Act, approximately 7 million Americans have signed up for health insurance for the first time in their lives. This extra swell to the patient population can only lead to more periods of overcrowding at ERs – and sicker patients in them. This is the point where you might start to think that there aren’t any better options out there, but CareWell’s urgent care centers routinely provide prompt and efficient treatments for mild to moderate injuries every day. The average patient even sees a clinician within 15 minutes, and waiting longer doesn’t lead to bigger bills. If you think CareWell’s urgent care centers are too good to be true, head to your nearest clinic the next time you sprain an ankle or get strep throat and find out for yourself.